MAIN POINT: Unbroken people makes for very fragile relationships. Worse, unbroken people hide their brokenness and refuses help. 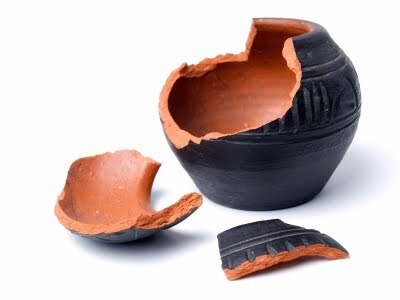 Effective ministry to broken people begins with a broken spirit and contrite heart. When we recognize our brokenness, we are less susceptible to hurts when we do ministry. Admittedly, the phrase catches him off guard. Both of us subsequently laugh out loud. Laughter soon turns into an awkward moment of contemplative silence as both of us reflect on our own packages of hurts and disappointments in ministry. The word ‘ministry’ is often seen as a high and noble calling by laypeople outside. It is sometimes elevated above other professions. It is also well-known for its low financial compensation. That aside, people do not enter the ministry for the money. They enter into it because they want to be channels of blessings for the people they love. Ministry work is not necessarily a higher calling. It is a unique calling, especially of its promised reward in spite of many discouraging moments. Ministry is exciting. I am energized by people who take initiative to grow, and to empower others to grow. I am encouraged by those who lovingly give me hints by offering me a way out of tricky situations. Such people provide lots of wisdom and experience to help the unsuspecting clergy. Every ministry happens within the context of culture. It takes a while for anybody to understand culture. The better one understands the culture, the less likely the frustrations and discouragement. Culture in itself is a tricky thing. Misreading it can at best be laughed at or forgiven. At worse, it can mean a premature termination of the clergy contract. Thankfully, not all churches are like that. As the economy for 2012 continues to become more unpredictable, it is very likely that serving in ministry will become more challenging, salary wise as well as service wise. I know a lot of friends in ministry who have given up lucrative salaries, and have chosen instead to take a huge pay cut just to serve the people they love. Even though money is not the purpose of ministry, we cannot subdue its importance to helping the clergy make ends meet. While financial compensation is challenging, it is a distant second to what is most challenging in ministry: Discouragement. In my years of service, I can summarize three primary situations in which ministry can be downright discouraging and disappointing. All of them can be classified under the headings, ‘half-way people,’ ‘What-way? people,’ and ‘no way’ people. They are summarized below in the ministry to three groups of people. 1. ‘Half Way’: People who say they want to grow spiritually, but unwilling to pay the cost. 2. ‘What Way?’: People who do not care at all. Apathy. HALF-WAY PEOPLE: Half-way people are those who want the fruits but are unwilling to pay the costs. Pilgrim’s Progress is a classic 17th Century allegory written by John Bunyan about the Christian life. It details the life of a man named ‘Christian,’ who has decided to follow Jesus on a journey of faith. He reads the Bible, becomes convicted about sin, and seeks to find to way to be delivered from his burdens. He hears about the promise of deliverance as well as the rewards associated with completing the journey. Right from the beginning, Christian meets an eager beaver man called Pliable. Upon hearing the paradise that comes to those who complete the journey, Pliable excitedly accompanies Christian. Unfortunately, both Christian and Piable at one point fall into a ‘Slough of Despond,’ a kind of muddy bog which transforms Pliable’s eagerness for paradise, into a desire to return to his former comfort zone. Pliable quits. Half-way people is like Pliable. It is like the seed that fell on shallow ground which grows quickly when times are good, but wilts when times are bad. Half-way people is a tough category to reach out too, because they claim to want to follow Christ, but are willing only to go half the way. APATHETIC PEOPLE: Apathy is a terrible thing. Contrary to what we think, people who are apathetic are not those who are nonchalant about everything. They are mainly concerned with what profits them. They care very little about others, or about the Kingdom of God. In Pilgrim’s Progress, Christian and his friend Faithful talks about Mr Talkative. HURT PEOPLE: I know of several friends who have been hurt in their respective churches. Recovery is tough. Trusting church people is even tougher. The need for healing comes with forgiveness. In Pilgrim’s Progress, there is a character by the name of HOPEFUL who met Christian in the journey. Together with Christian, they survived after an ordeal with a nasty giant called, “Giant Despair.” Reading the way both Christian and Hopeful encouraged each other is an excellent example of how we can reach out to people who have been hurt. The key to effective ministry is to begin with a broken spirit and contrite heart. An East African Christian called Kefa Sepangi writes these powerful words about the lack of broken people among Christians. “Hardly any of us can go to his own Christian community and say: 'This is my body which is broken for you. I am laying all my professional skills, abilities, and economic resources at your disposal. Take them and use them as you see fit." We cannot say this because we are not broken. We are too proud to give our lives away to people who are not perfect. We don't want to lose ourselves for sinners. We want to find them. So, like Judas, we make only a partial commitment to the body of believers to which we belong, and we find our identity in rebellion from them (Kefa Sepangi, "Walking in the Light," Sojourners, February 1978, p.27). Strong words. Africans are well known for their community-like spirit. Apparently, for Sepangi to write like these, it tells us that the lack of brokenness is a universal condition. Whether in the East or in the West, in the African continent or in the Americas, we are all tempted to live in rebellion against things good for us. Unbroken people in ministry makes for fragile relationships. Half-hearted people behave like this. They prefer their own ways despite the good offered to them. If we are not broken, we can easily give up trying to do good. If we are not broken, we will find it hard to pray for the second group, the apathetic people who do not care about kingdom concerns, who only concern themselves with their own profits and personal agendas. If we are not broken, we will find it hard to minister to the third group, to share the plight of persons who have been hurt. King David is a person who has been broken. He prays to God out of his brokenness. For him, true sacrifices come from a broken spirit and a contrite heart. Amazingly, prayers and petitions that comes out of such a condition, God will not despise. Jesus has been broken for our sins and transgressions. Each Communion Sunday, Churches all over the world proclaim the Lord’s Remembrance and Coming Again by the breaking of bread and the sharing of wine. It takes a broken Christ to bring healing to the world. The best position in ministry is not out of a high and mighty arm of power and authority. The best disposition in ministry is out of a broken and contrite spirit, of which God will never despise. May we all find our identity in Christ, not in stubborn rebellion against all kinds of people or situations. Instead, let us discover our identity once again, renewed by picking up our broken pieces in life, and to ask God to heal us. Asking God to forgive us and make us whole again. As long as we recognize our brokenness, we will not easily quit. Neither will we give up the cause of Christ simply because of discouragement or hurt.